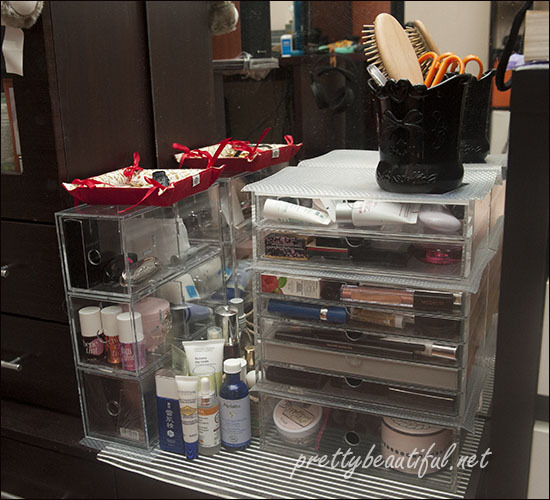 Ever since I bought my first, then second then third Muji acrylic drawer, I got hooked to this storage system! The latest addition to my acrylic family is this 3 case drawer. It is very spacious in terms of drawer height, hence it can house taller items. It can fit the Benefit tints perfectly standing up. It also comes with a divider, you can shift to divider to repartition, or taking out the divider. As you can see from the picture, it’s a spacious and even the large meteorites can stay comfortably in it. 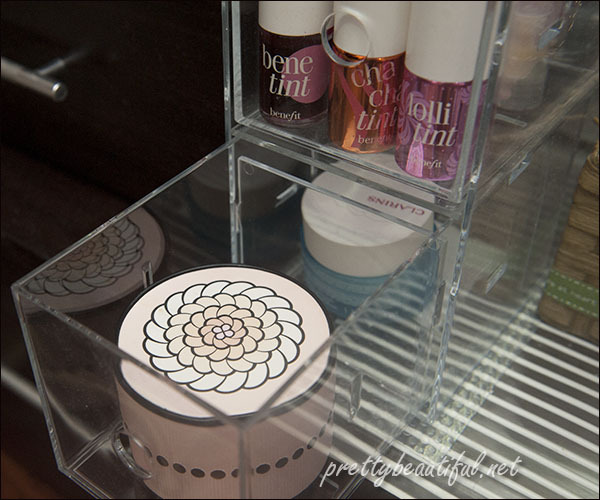 Currently the drawers are not full yet because I only keep items that I use frequently for easy access. There’s huge sense of achievement for being so neat (relatively), I have come quite a long way for being so organized. As poisoned by me, my husband also picked up one for himself to store his small items (batteries, batteries and more batteries). This 6-drawer is the same height as my 3-drawer, it’s shallower hence it’s it might not be suitable for my storage items. But it will be nice for palettes and eyeshadow singles too. Currently, I am quite satisfied and it seems like I have more storage space, for now. ooh right. but the brushes will be lying down instead? I’m a fan of the Muji acrylic accessories. Must go check these out too. I need something like this too. I love how neat and well-organized everything is. gio recently posted..QOTW: What’s Your Favourite Drugstore Beauty Brand? then you definitely need one 😛 if not more. 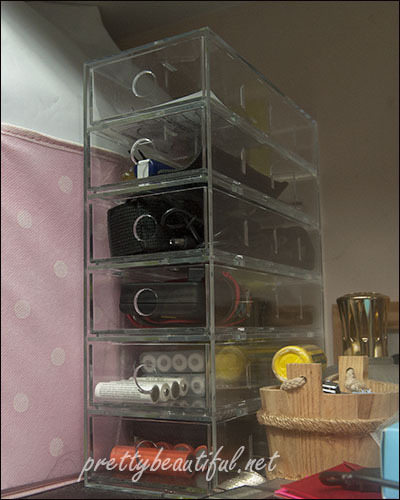 I’ve been eyeing the Muji storage racks for so long now, its amazing I don’t own one yet. 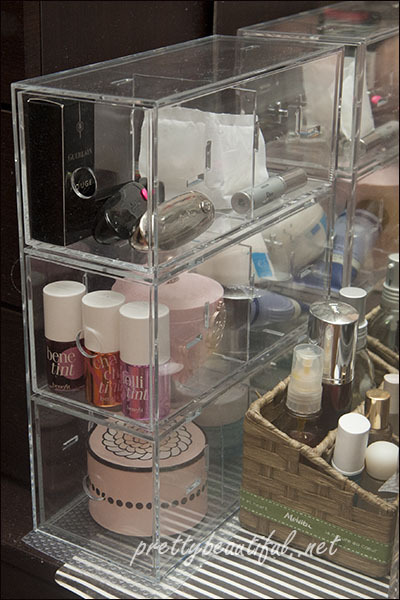 I really want the 6 drawer one 🙂 Good on you for being so organized.. My makeup is all over the vanity haphazardly waiting for a disaster to strike lol..! shasha recently posted..Budget or Brand? What Dictates Your Choices? Next post: An Impromptu Trip Down South – of MBS, Pasarbella, Prada Double Bag and Hakuhodo Brushes!